Mobile-first banking continues to evolve. Looking ahead, increasing use and the growing demand for new features are expected. Consequently, financial institutions (FIs) with mobile banking already in place shouldn’t become complacent, and those FIs without a mobile option will need one for their account holders and prospects. An FI will better guarantee mobile-first banking success by having a strategy — a well-thought out, proactive one. Q2 recommends an approach that adheres to two parallel tracks. First, an FI needs to gear their business to the mobile-first era. To grow business beyond simple transactions, a mobile-first FI must invest in R&D and create mobile-first products that add value to account holders’ lives or businesses in a time of constantly changing expectations. Next, they must solve the mobile-first technology puzzle. In addition to developing mobile-first products and services, an FI must invest in changing how they deliver these new products and services, in a way that meets the needs and standards of both consumers and businesses. Banks and credit unions must prepare effectively for mobile banking implementation and ongoing adaptation. This means laying the right foundation now to meet the requirements of the future — one built to attract new customers, increase revenue through upsells and cross-sells, and enhance loyalty. Design. Mobile banking is more than an extension of online banking. A mobile-first design philosophy is required to meet the needs of demanding consumers and businesses and to ensure a consistent and seamless experience across all FI touchpoints. To do so, FIs must leverage user research and personas to provide mobile banking experiences that are easy to navigate across all devices. Relevant offers. Differentiate products by understanding what account holders need and then providing access to the modern features they want. Mobile account holders expect person to person payments, online account opening, and personal financial management tools. FIs should anticipate their customers and prospects wanting even more of these necessities as they will expect all their finances on one platform. Analytics. Mobile-first banks and credit unions leverage data analytics to turn transactional data into actionable insights. These insights empower FIs to reach account holders where they are, with products and services they truly want. Much of this insight will come from sophisticated machine learning that brings predicted behavioral patterns to the fore. No-hassle security. 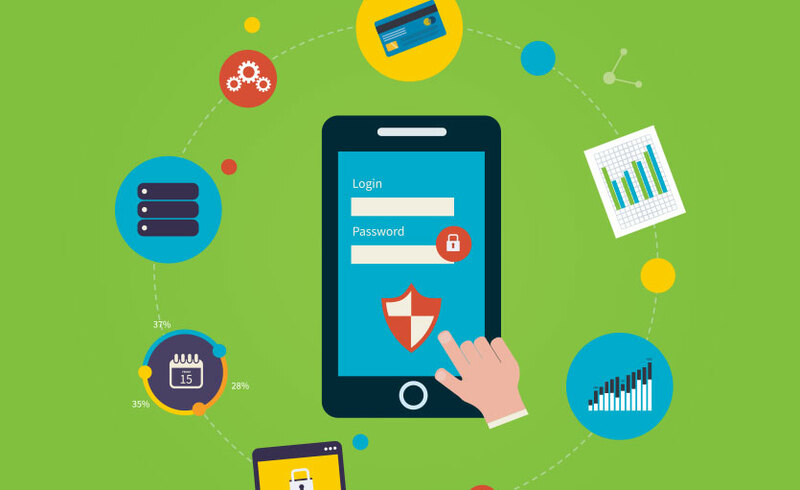 Mobile account holders don’t want to think about security. They assume it’s there, working behind the scenes in a highly effective way. They further assume their FI is staying on top of the latest threats and actively stopping them. Also, given the continued concern over stolen identity information and fraud, mobile account holders will increasingly want biometrics to further ensure their well-being. Businesses on the go. Business account holder expectations are heavily influenced by their personal mobile technology experiences. They want and expect the same conveniences in their business lives. For example, business account holders want to conduct routine business transactions on the go, such as approving payroll, transferring funds, paying bills, and granting entitlements. And, business personnel want to receive push notifications to alert them to must-do’s like approving transactions. Like consumers, mobile business users desire convenience and robust features on one platform. The most successful mobile-first organizations focus the bulk of internal resources on advancing their business-innovating the new products and services their customers demand-and turn to partners to meet the technological challenges of becoming mobile-first. The right technology partner can help an FI scale smart and accelerate the time to a mobile-first culture by empowering employees to reach and serve more customers efficiently and securely. If you’re an FI without a strategy for mobile-first banking, you run the risk of not acquiring new account holders, jeopardizing your relationship with existing ones, and creating uncertainty about your institution’s future among staff. Granted, it can be difficult to change from an in-branch model to a digital banking base geared to mobile-first users. However, if done correctly — with carefully honed planning — FIs can win new account holders and strengthen existing relationships. Interested in learning more about our Mobile Banking Platform? Then, download the Maximize Mobile Banking with Q2 guide now.